Our expertise is to help our clients identify, build, and sustain the capabilities they need to continuously improve performance and deliver impact more effectively. We achieve that with rigorous frameworks and Leading Edge methodologies, as well as creativity, depth and playfulness. We all have common studies in Transformational Facilitation, Presence Based Coaching, Six Sigma and Change Management, and we bring strong business acumen and an action learning background in multi-national, multi-year Change Management programs. Each of us also brings a unique set of skills and talents that support personal and team transformation leadership journeys. 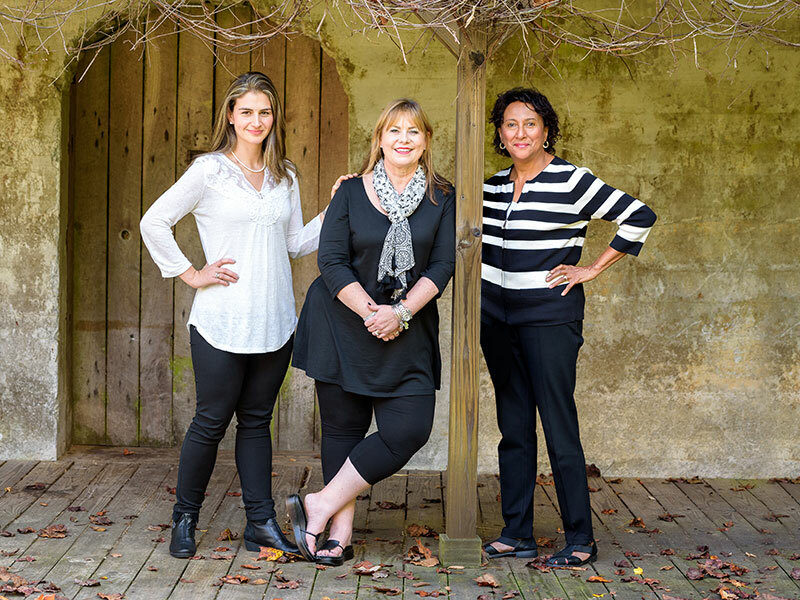 Our expertise includes Psychology, Communications, Systems Thinking, Somatics, Yoga and Mindfulness. Valetta is a seasoned Organizational Development and Learning & Development professional with 20+ years’ experience working across many industries including Science and Technology, Universities, Federal/County Government, Non-Profit Agencies, Manufacturing and Social Services. Valetta is skilled at partnering with leaders to address key challenges facing the organization's future, and facilitating Mindsets and Capability Transformation Programs to teach personal transformation as the key to behavioral and organizational transformation. Trained and Certified as an Organizational Transformational Facilitator by McKinsey and Company her expertise includes: leadership development, and capability building processes that align leadership competency with business profitability. Valetta has worked with organizations/companies such as DuPont, the American Red Cross, and Social Security Administration. Her most recent role with DuPont was as an Organizational Health Coach and Executive Team Development Facilitator. She aligns personal insight and team strategy with business drivers to develop a leadership community across all levels within organizations. Her teamwork process launches key initiatives to deploy critical people-systems improvement. Prior to her roles with DuPont, Valetta served as Director of Employee Assistance Programs and Services for the American Red Cross. Here, she led a Global Strategy for serving American Red Cross employees and their family. Anyone can lead from where they stand. A leader is the one that goes first. Organizations don’t transform, people do. As we transform, so does the Organization. Stephanie is an accomplished facilitator with demonstrated ability to work in Organizational Development and People Engagement across businesses and geographies, in a context of large-scale, multi-year performance improvement efforts. Along her +15 years of experience in Corporate Communication, Change Management and Leadership Development, Stephanie brings expertise in understanding organizational cultures, as well as designing and deploying methodologies that elevate near-term execution and support long-term organizational health. Stephanie is recognized for working with over 1,500 Leaders in Latin America and the United States as a Consultant and Executive Coach. Her profound thinking and warm base enable individuals and teams to power-up by connecting to their deepest purpose and highest possibility, and consequently translating their awareness into strong business results. 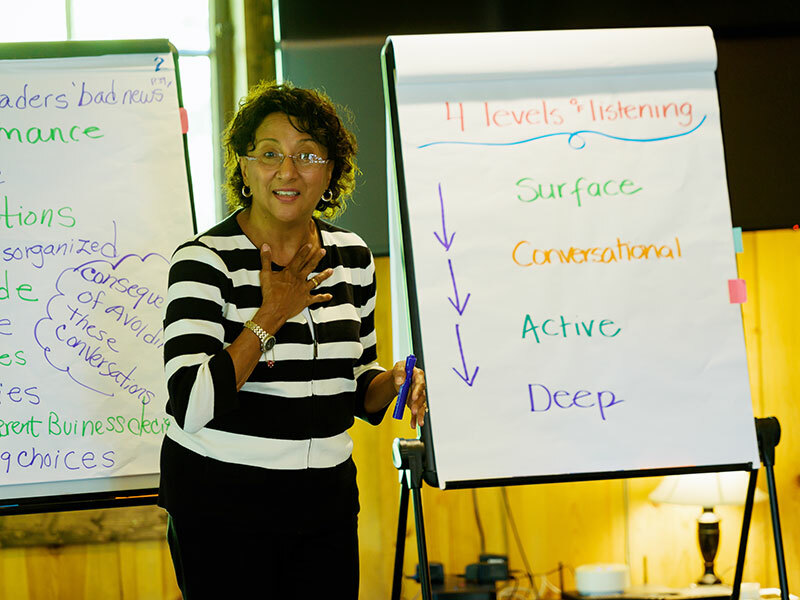 She uses Adaptive Leadership, Introspection, Transparent Communication, Emotional Intelligence and Mindfulness as tools for integration and sustainable learning. She is Trained and Certified as an Organizational Transformational Facilitator by McKinsey and Company. Stephanie was born and lives in Bogotá, Colombia, with her husband, and her 2 sons. She speaks Spanish (native), English, Portuguese and French. She enjoys travelling, dancing and designing adventure books for her children. Susi is a highly skilled and experienced professional leader, educator, and coach who has worked in both corporate and community settings. Her experience ranges from 1:1 employee assistance, conflict mediation, small-team leadership to senior leadership coaching, and global leadership program design. Previously, Susi worked as the Change Management Leader for DuPont’s global, firm-wide transformational leadership team. Her experience at DuPont included a variety of transformational, coaching, and consulting roles that spanned more than 23 years. 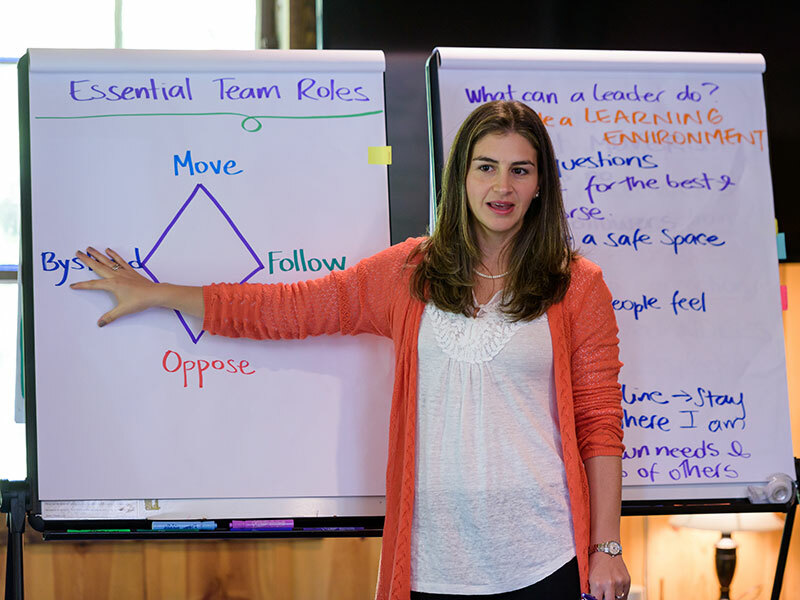 In one year, her team facilitated nearly 100 leadership programs and successfully trained more than 2,000 leaders. She successfully designed strategies and processes for coaching and mentoring internal transformational leadership faculty and also managed the Corporate Centered Leadership Program. 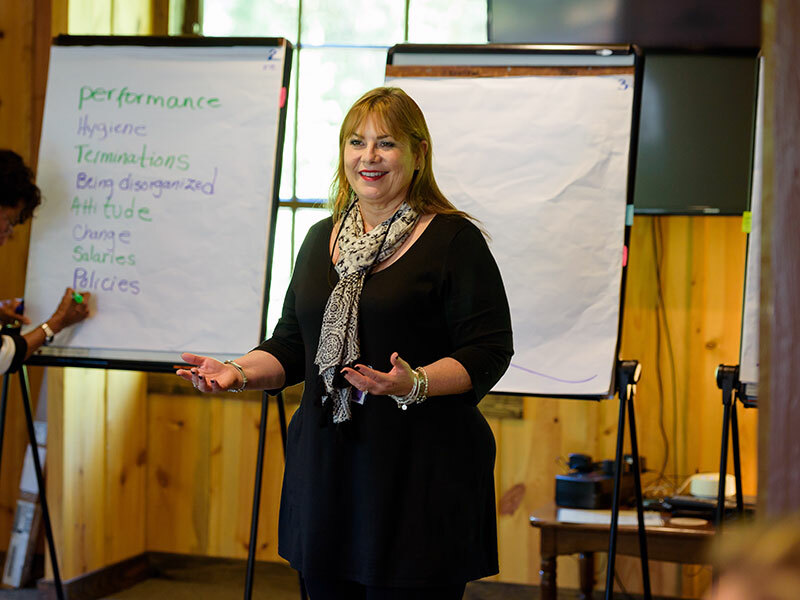 Susi experiences joy when watching leaders see how they can shift their behaviors to create greater impact in their organizations as well as realizing that these same shifts positively impact their personal lives also. Susi is a registered yoga instructor RYT 200 and her hobbies include teaching and practicing yoga, traveling, coaching new runners and cooking for her family and friends. Influence comes from the Leader’s ability to spark people engagement. “I opened up at a level that is past my Comfort Zone” Judy, Corporate Client Workshop Attendee.